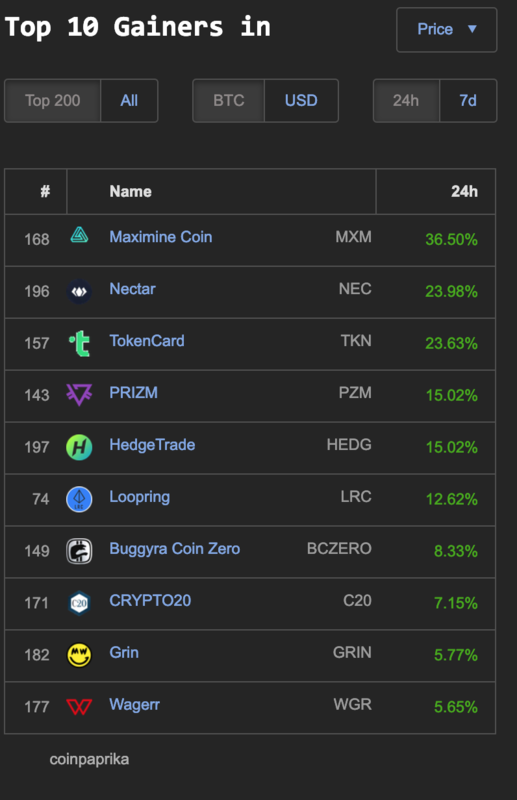 Red is still the most prominent color when looking at the larger cap crypto market—some standouts in the green category include HOT (64%) XEM (6%) BNB (5%) and BAT (5%) on coin360.io. Coinpaprika.com has a half dozen coins with double digit gains today within the top 200 market cap. 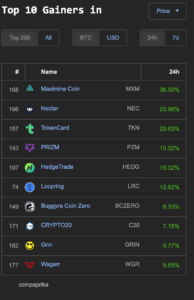 Maximine Coin (MXM) 36%, Nectar (NEC) 23%, Tokencard (TKN) 23%, Prizm (PZM) 15%, HedgeTrade (HEDG) 15% and Loopring (LRC) 12%. 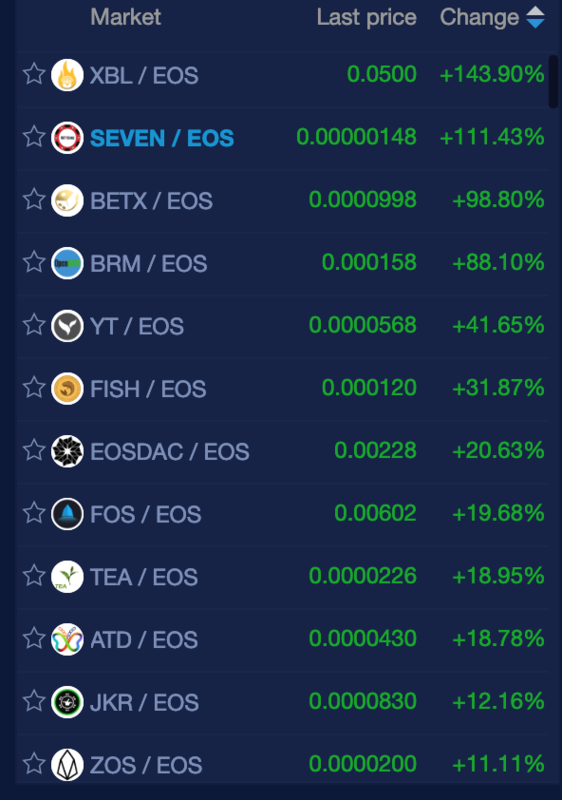 A dozen Double and Triple digit percentage cryptocurrency market gains are being found at newdex.io. 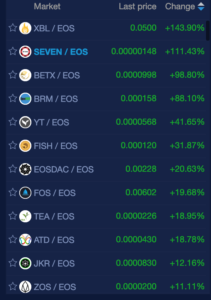 XBL (143%), SEVEN (111%) & BETX (98%) being the largest gainers trading with EOS.